Greatly lowers the hours and costs of using different software for different purposes by integrating into one simple app. 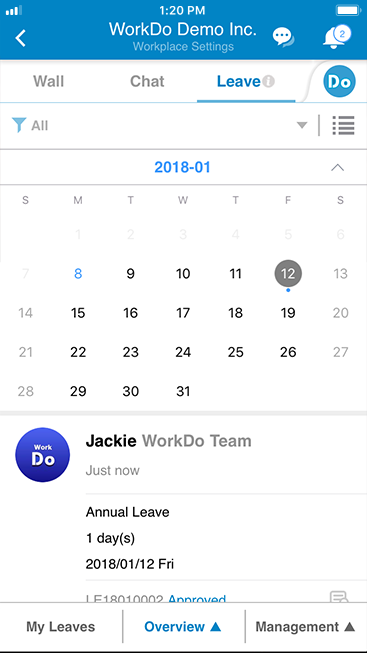 WorkDo brings together productivity tools for you to manage your company on one platform. Manage employee and department profiles quickly and easily. 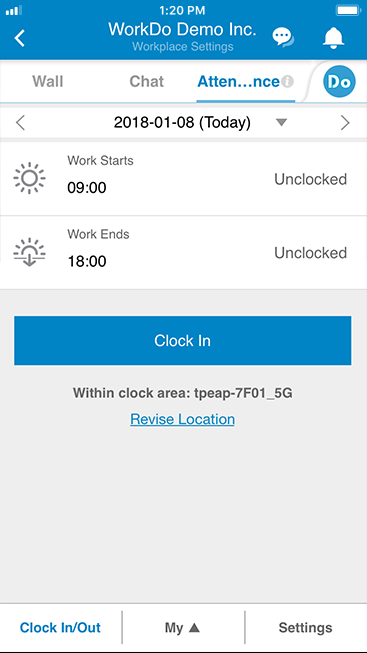 Clock in and out easily with monthly summary to track work hours. 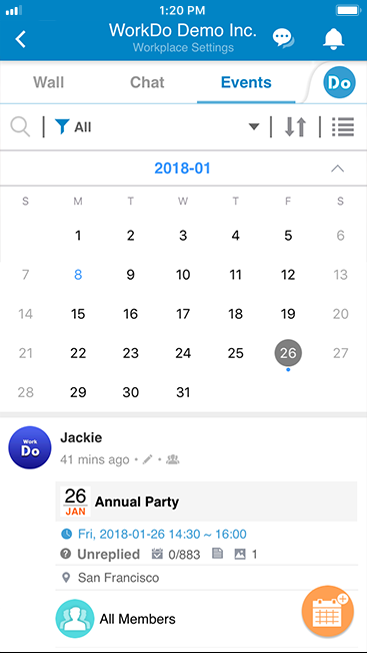 Coordinates with HR for managers to easily plan work schedules. 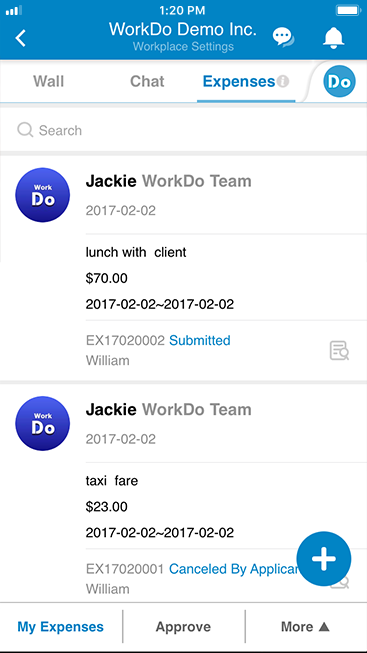 Apply for expenses easily and managers can easily verify the applied expenses. All your outstanding tasks and events at one glance. Track progress easily with task completion data. 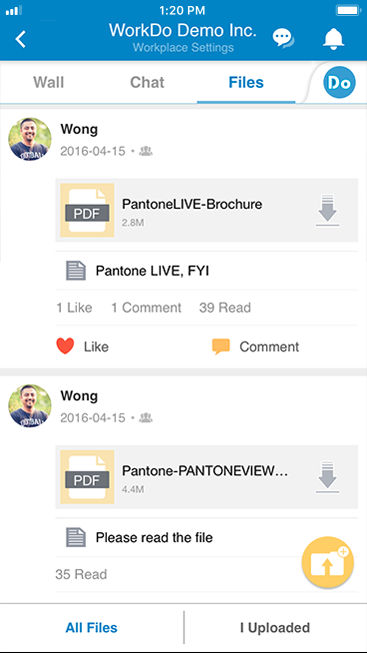 Multiple types of files can be uploaded to support your ideas. Obtain participation rate quickly with invitee attendance data. WorkDo uses the world-class Amazon Web Services (AWS) to store and transfer data. This ensures us to achieve dynamic load balance and backup storage security of our products and services. Resources can also be allocated efficiently and effectively depending on the load for continuous and uninterrupted service. WorkDo internal data transfer is encrypted using financial institute-level of AES 256-bit SSL/TLS to provide a comprehensive protection of user data. *iOS : Requires iOS 9.0 or later. Compatible with iPhone, iPad, and iPod touch. WorkDo allows me to see the progress of all my teams from anywhere without needing to interrupt them. And there is always a direct channel of communication available with everyone. This is indispensable. Administrative work can be a hassle and ties me to my desk. 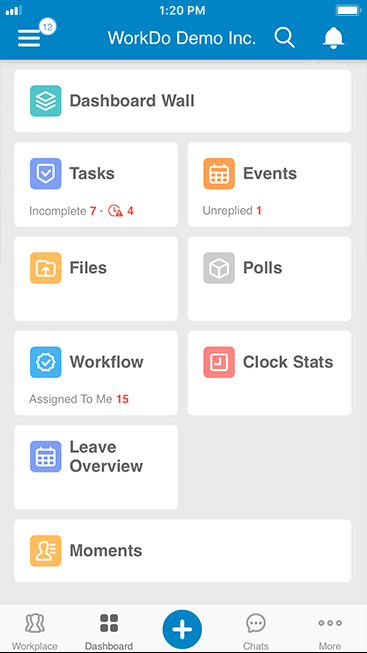 Luckily, WorkDo simplifies workflows with tools for HR, leaves, expenses and meeting rooms. Now everything can be paperless and I am free to take care of matters away from my desk! 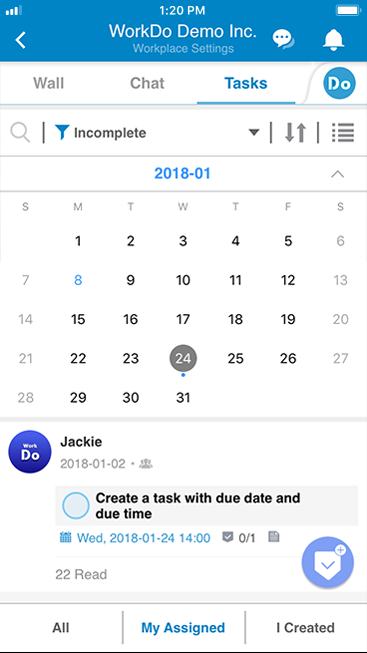 I love the Tasks function, it helps me stay on top of multiple projects with groups, due dates and subtasks. 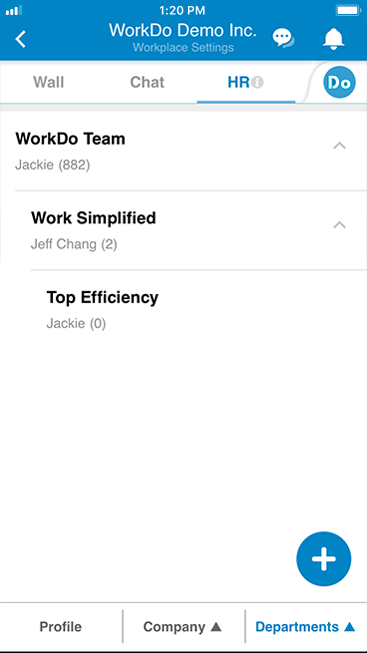 WorkDo makes managing multiple teams easier and less stressful. Experience WorkDo in Your Company Today!